Nkidu Games and Q-bit announce publishing partnership, are proud and excited to work together blah blah blah. And we’re teaming up to bring Holobunnies to PAX Prime where you’re totally going to play it and have a great time! 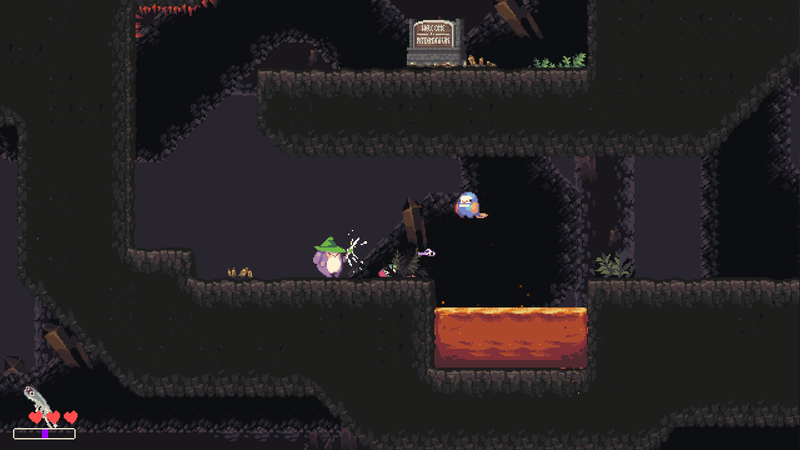 Holobunnies is a fun and challenging platformer for PC, Mac and Linux (we wouldn’t tell you if it wasn’t fun, anyway) featuring holographic bunnies adrift in space, searching for a new home after their previous planet was utterly destroyed by a volcanic eruption. Damn you, volcanoes! As you switch between the five differently-skilled Holobunnies, you’ll hop around, travel through time and space to explore new planets, meet their adorable little denizens and then… harvest the souls of all those you slay? That took an unexpected turn there, didn’t it? That can’t be right, can it? *puts on reading glasses* Yes, it says so here on our feature sheet: “Collect the souls of slain foes to develop your characters’ emotions, which you’ll need to develop your characters, ship and equipment, and to unlock new areas.” Grim! The game also has a fantastic soundtrack and is beautifully illustrated by the fine folks at Sleepy Sheepy in Brazil. We’ll share a lot more news and info about Holobunnies in the coming months, but if you’re coming to PAX, you can get an early look at the game on Level 6, booth 7011, in the “Up North Indies” section.